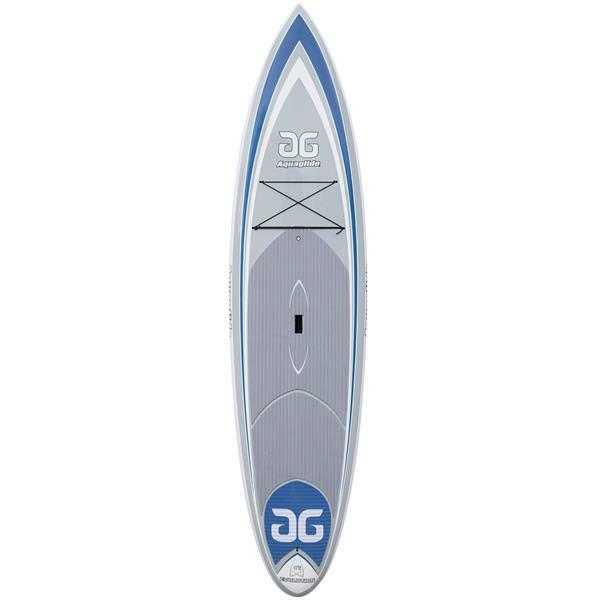 Aquaglide had one mandate in creating the new Evolution series, separate these SUP’s from the cookie-cutter boards offered by every other company. To do this, we went back to the basics of shaping with Legendary Shaper, Brian Hinde. Hand-shaped, fine-tuned, and attention to detail— this is the last board you’ll ever need. Designed with the intention of a better glide in mind, there are chines located on both the bottom and top of the board. We are excited to get back to the roots, showcasing the experience of paddling and forgoing flashy graphics. This approach rekindles the passion and innovation of the days before cosmetic enhancements surpassed shaping for performance. The 11’6’ is the “everyman” board that is great for the entire family and larger paddlers. If you are looking for the most stable boards on the water, then the Evolution 11’6” is your answer.